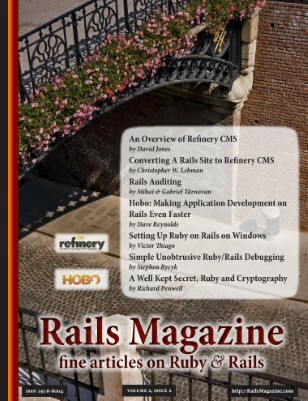 Rails Magazine is the leading periodical devoted to the community of Ruby on Rails professionals and enthusiasts. We aim to provide timely and high-quality knowledge to the Ruby on Rails community. Our articles cover everything from the latest news and the basics of Rails development to advanced or specialized topics. 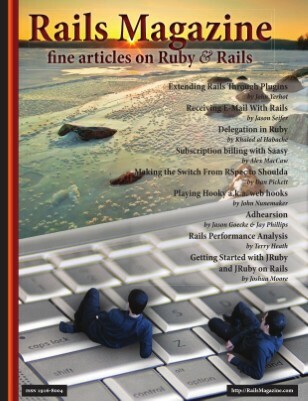 Rails Magazine brings you the in-depth features, reviews, and tutorials you need to master Ruby on Rails. 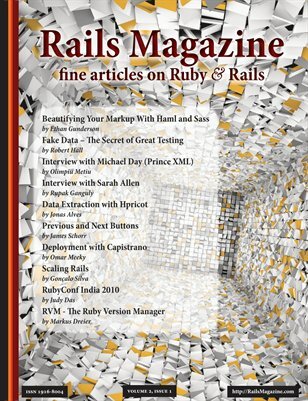 The magazine is primarily addressed to Ruby on Rails developers, however everyone interested in related topics such as Ruby, Web 2.0, Startups, Web Frameworks should find Rails Magazine a valuable resource. 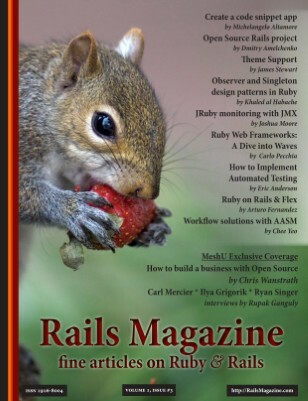 Whether you are new to Rails, a seasoned user of Rails, or a user of another framework or language who just wants to see what the fuss is all about, Rails Magazine is for you. 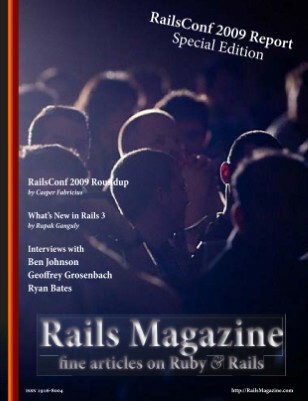 Whether you work in an enterprise or a start-up, Rails Magazine has the information you need to be more successful.